It’s been a very busy October and November for me. Just so you know, I am launching a new website called The Wealthy Pinay. Well, the site is not yet launched but the Facebook page is. So go and give it a thumbs up please. 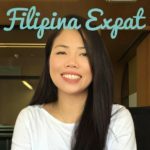 Audience of Filipina Expat might not be the same people who would be interested of me talking about wealth, getting out of debt, and other money stuff so I thought that this other part of me needs a different platform. Although I’ll be honest, I am afraid on how I can manage everything considering there’s only 24 hours in a day. I have work (that’s from 7:30am to 7:30pm including commute time), I have mommy duties, I have this blog, and then now I have The Wealthy Pinay. I have to handle social media accounts, prepare posts, shoot videos, edit videos and do other gazillion things. Let’s not forget that I have Slian Nails that I need to focus on too. On top of that, I need to sleep. Because I can’t function with less than 7 hours of bedtime. But as they said, you will make time for things that you enjoy. And nowadays, being organized is the only way to keep me sane. I can’t just go with the flow and just react when things happen. I need to plan all my tasks and prioritize it. Every weekend, I will write down the lunchbox menu of my kids for the full week. For me, that the most important thing. I realized that not prioritizing my kids caused me so much stress because of guilt. I don’t easily get stress with work, or my nail salon business, but there’s no greater stress when I feel like I’m failing as a mother. My husband will assure me that I’m not and I’m the best mother, but still, I always feel guilty. This is a part of my convo with husband a few days ago when I was making dramarama because I was so overwhelmed. But the good thing about myself is I always recognized my own depression and I try my best to get out of it by taking action. The only thing we can control is our mind. The negative emotions – sadness, guilt, stress, worry, pain – are something we cannot avoid but how we let them affect us is something we can control. We can always wallow in pity and sadness why not! It’s nice to think being a victim, right? But will that solved our issue? I don’t think so. So I would rather find a solution to my issues or change my mindset to make me happy. You already know that life is too short for dramas right? I will wrap it up now. I just want to update you guys that I am still alive. Watch out for the launch of The Wealthy Pinay. I’m so excited!!! ← WIN a MIDEA Multi-cooker! I can relate much with you but I guess you have more on your plates than I do. I tried to slash all appointments that take away my time from my son. For some reasons, I always have this guilt feeling whenever I am doing my ‘own-me-time’ on weekends. I felt that I should be with my son instead of enjoying my ‘me-time’. As they say, where we spend our time and energy is the reflection of what are the priorities in our lives.